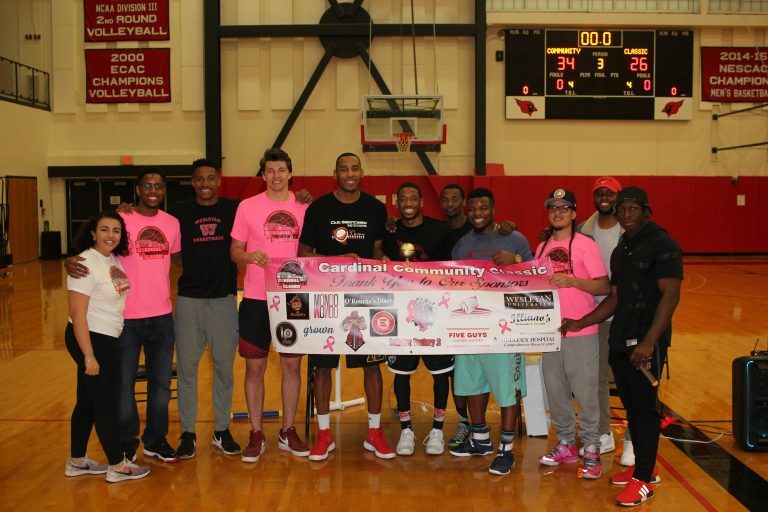 This Spring, the Jewett Center for Community Partnerships chose the 2019 Cardinal Community Classic as a recipient of the 2019 Student Innovation Fund. 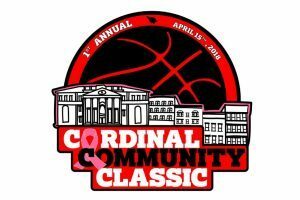 Organized by Jordan Bonner ’19, JR Bascom ’18, Lina Marzouk ’19, Jordan Sears ’18, Eli Blair-May ’19, Kevin McDonald ’20, Chelsea Cantos ’20, Henry Martellier ’19, Remi French ’20, Austin Hutcherson ’21, Jordan James ’21, and Ernesto ‘Ness’ Vargas, this annual 3v3 basketball tournament raises money for the Middlesex Health Cancer Center to support individuals with cancer who are facing financial hardships in our local community. In the process, they also aim to provide an exciting space where Middletown residents and Wesleyan students can come together and have a great time. 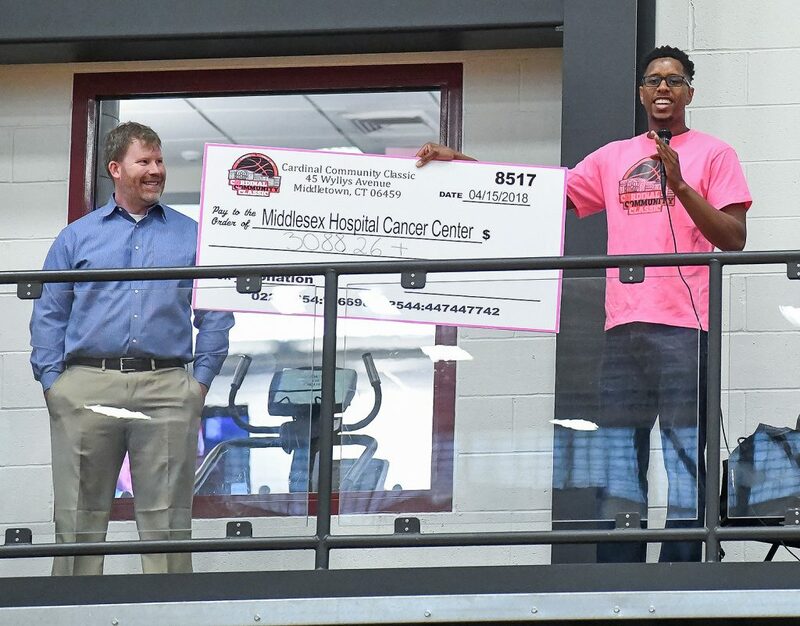 Last year the Classic raised and donated more than $3,000 for the Comprehensive Breast Center at Middlesex Hospital. More than 40 teams competed and over 250 people attended the event. This year they hope to double the event by making the tournament more accessible to Middletown residents. Register your team by April 24th!